Coolink introduced its first LGA2011 processor cooler, the Corator DS. This model has a copper base, four 8mm heatpipes, dual aluminium fin stacks and a 120mm PWM fan that spins at up to 75.1CFM at a noise level of 27.1dBA. With the fan included, the cooler measures 155mm x 140mm x 121mm (H x W x D) and weighs 1040g. The MSRP is 39.90EUR ($44.90). 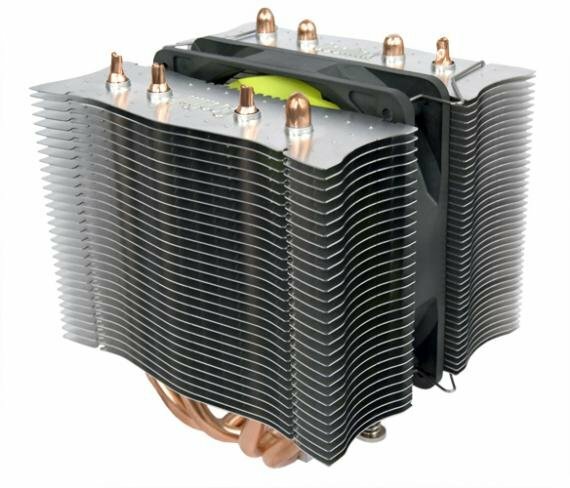 Coolink today presented its first CPU cooler to support the upcoming Intel LGA2011 platform for Core i7-3000 series Sandy Bridge-E processors. Based on the award winning Corator DS, the new Corator DS – LGA2011 is equipped with the proven SWiF2 - 120P PWM high-performance fan as well as the latest edition of the SecuFirm™ 2 mounting system for LGA2011, featuring optimized mounting pressure for excellent cooling performance. 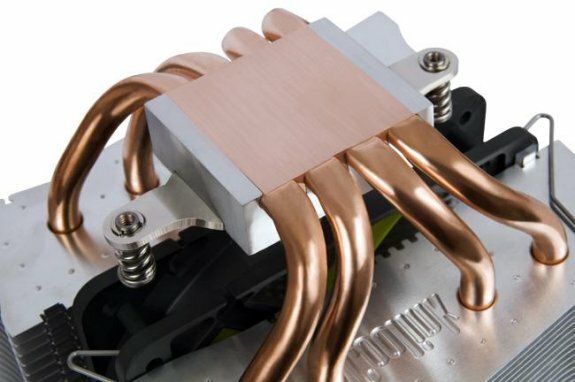 Coolink's exclusive GDT-technology gives the Corator DS - LGA2011 a large gapless all copper contact area to ensure superior heat transfer and even spreading of the thermal compound for excellent cooling performance with high-end processors, be it at stock clocks or in overclocked environments. The new SecuFirm™ 2 mounting system for LGA2011 combines easy installation with outstanding reliability, topped of by optimized mounting pressure for excellent performance with Sandy Bridge-E processors. Featuring wider fin spacing on the first of its two fin stacks, the Corator’s asymmetrical dual stack design was fine-tuned for maximum airflow efficiency and quiet operation in combination with the supplied SWiF2 - 120P fan. Altogether, the Corator’s 70 fins provide a surface area of more than 7500cm² for optimal heat dissipation. The included fan is part of Coolink’s renowned and awarded SWiF2 series, featuring a high-performance hydro-dynamic bearing for outstanding durability and superb running smoothness as well as an innovative 11-blade impeller design that provides excellent airflow, especially at low fan speeds. Thanks to the support of PWM, the SWiF2 - 120P fan can be controlled by the mainboard according to the current CPU temperatures and thus remains whisper quiet at typical usage, unleashing its full power only when really needed. The package is completed by a tube of Coolink's high-end Chillaramic thermal compound and full 5 years manufacturer's warranty, making the Corator DS – LGA2011 an ideal Core i7-3000 cooling solution for everyone looking for excellent performance at an attractive price point. The Corator DS - LGA2011 is available immediately at a suggested retail price of EUR 39.90 / USD 44.90.